Are you looking for an affordable pre-owned vehicle that will be able to meet all your needs while fitting within your budget? Would you like to find a pre-owned vehicle that will go above your expectations while also being reliable, safe, and durable? 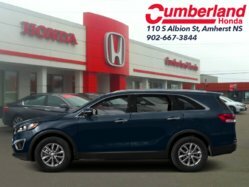 If so, come in today to Cumberland Honda in Amherst, Nova Scotia. At Cumberland Honda you will find an extensive inventory of quality pre-owned vehicles, all of which have been inspected by our team of skilled and trained technicians. Our team of dedicated sales representatives will take the time to fully understand your needs in order to help you find the right pre-owned vehicle for you and your family. We have an extensive inventory of top pre-owned vehicles starting with a wide selection of pre-owned Honda Civic models and used Honda CR-V compact SUVs. We also have several pre-owned vehicles from other brands as well. 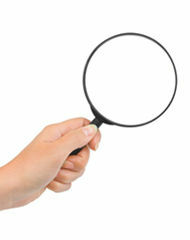 Cumberland Honda is also proud to offer you a wide range of flexible and affordable financing solutions. Regardless of your credit, our financial services specialists will be able to find the financing solution that will suit your needs all while respecting your budget. 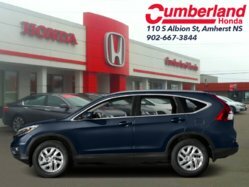 To learn more about the pre-owned vehicles offered at Cumberland Honda in Amherst, Nova Scotia, contact us today at 1-844-822-8105, or online by using our contact form.